Dana was saying in the presser it might not happen and they're looking at probably Miocic if Brock fights at all, said something about Cormier training hard but not ready or something so I dunno. I think the Brock thing it's best just waiting to see what happens cause we'll probably hear all sorts before hand anyway. True. But is anybody "fighting clean"? Yeah, which is exactly how you know the fight is signed. Honestly, how have you not picked up on how this place works? This is what happens when you overuse words!! but now theyre all on steroids ever since GSP retired. brock put on of the dullest performances at hw vs mark hunt and then went on to get popped for roids. I fail to understand how he deserves a top 5 guy let alone the champ. Well, people always say that don't they and where as sometimes it's the case sometimes it's also not, so unless they announce it we can't really say that. 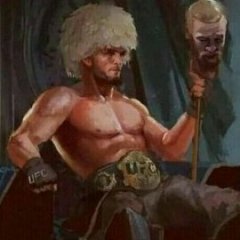 I mean Dana White said recently "We're nowhere close to making Conor vs Cerrone fight" and everyone was saying "So they're about the announce it" .... and guess what, they didn't. People say that all the time but no one ever talks about all those times they've said it and it never happened, they only talk about the times when it did. I hope they put this fight in a very weak card so I dont buy it! This fight is just an insult. You still pay for fights? I think what really going on is that Brock has a recent positive test and is in the USADA double check and fighter response process now. I spend like 30 bucks (which gives me more than enough food and drinks) and Im a regular so I have fun. Brock knocks him dead with the cleanest straight right hand ever thrown in the business.